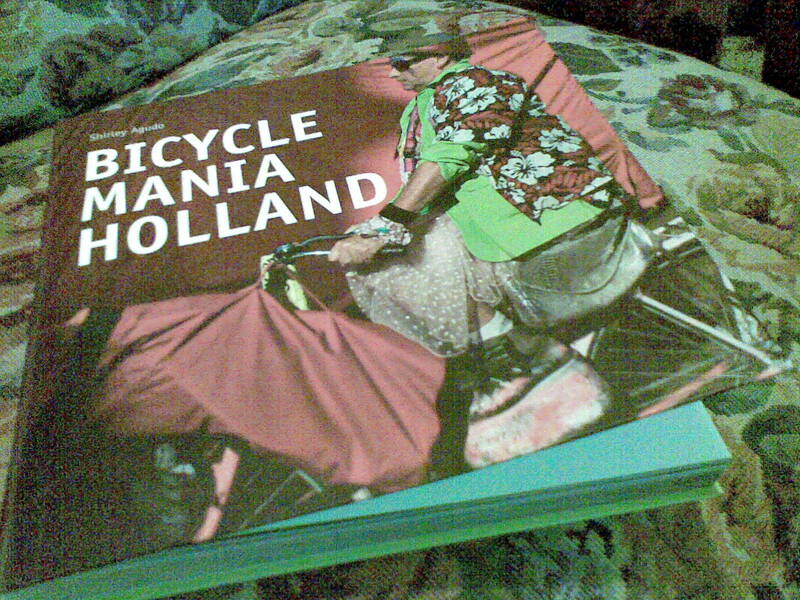 I was very happy to be given a copy of Bicycle Mania Holland by Shirley Agudo. 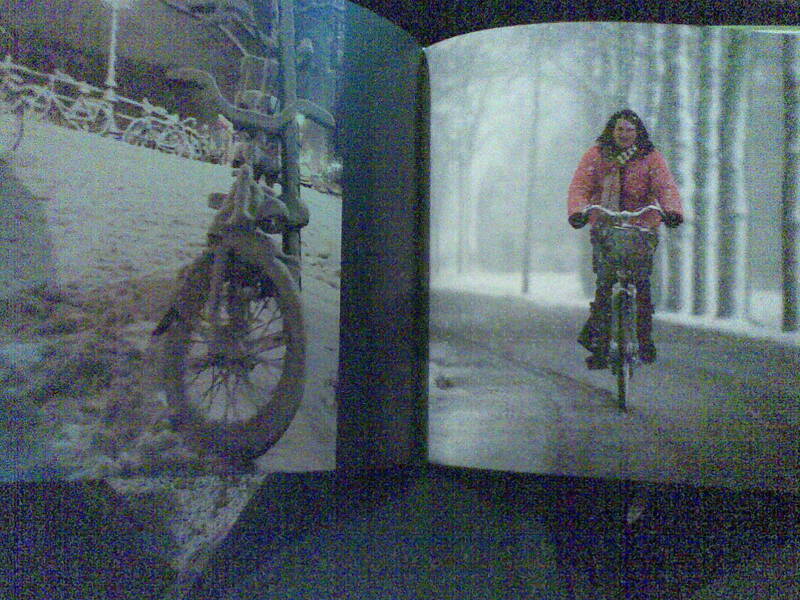 The book is mainly a photographic narrative, capturing Dutch cycling culture in all its varied aspects. 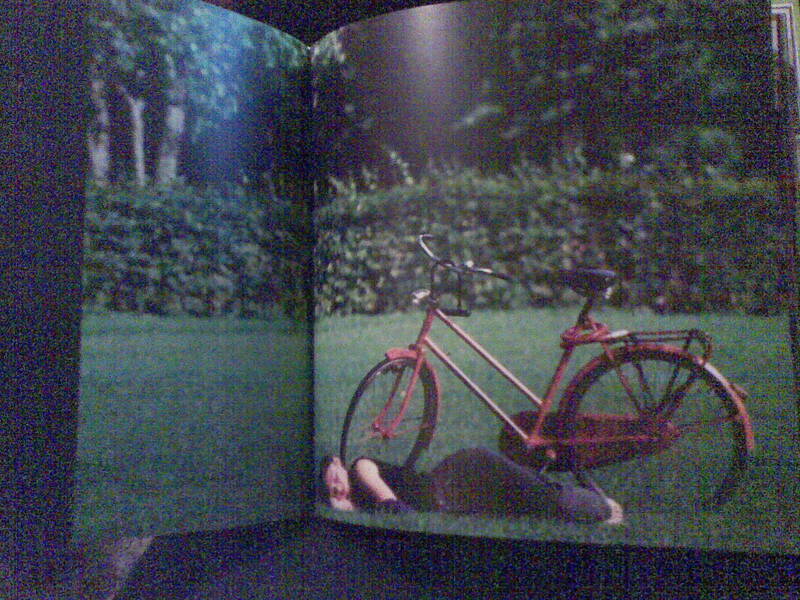 At the beginning of the book there are also several pages of print which cover various topics related to Dutch cycling culture, how it was achieved, how it works and the shortcomings of it. I have known for several years that cycling in the Netherlands was not a spontaneous thing, that it is a result of targeted government policy and that only with such a deliberate and committed approach will cycling become a part of everyday life in any country. 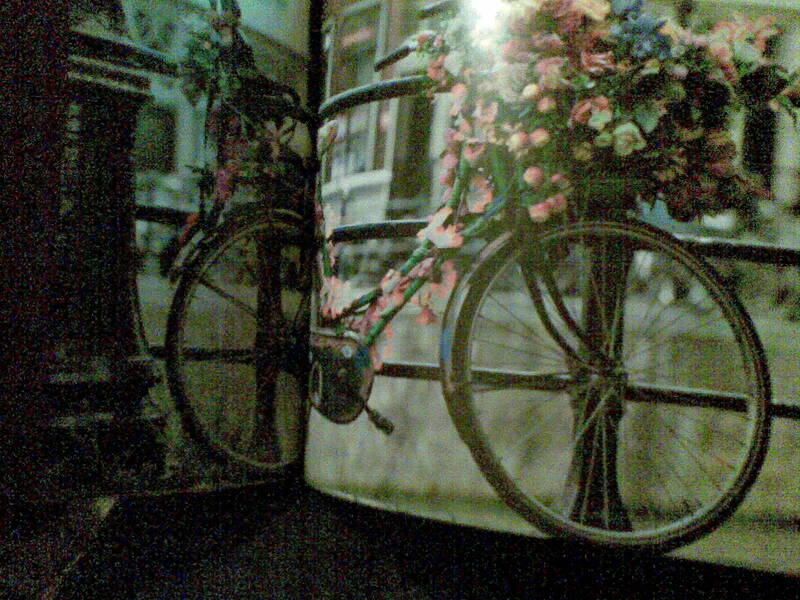 This book reinforced all of that, but it also added to my general knowledge about Dutch cycling. I was amused but not surprised to read the one reference to Australia – in regards to its helmet laws and their negative influence on cycling here. I was also intrigued by the steps the government in the Netherlands has taken to stamp out bicycle theft by making compulsory the microchipping of all new bikes, the testing of children at the age of nine for road skills on a bike and how the traffic rules treat bikes. The wonderful photos capture the cycle culture in all its colourful and practical aspects and are grouped by theme: kids, seasons, with dogs, girls on bikes, carrying large objects on bikes, bikes with flowers, etc. One interesting aspect of the Dutch cycling culture is their propensity to throw bikes into the canals there, and this has led to a necessity of getting them out and recycling them. This process and the reasons for it is described in some detail. It would be hoped that if a more pervasive cycling culture developed here, the absence of canals would prevent this type of destructive activity from happening. This entry was posted in bicycle culture and tagged book, cycle chic, policy. Bookmark the permalink.